Hi! It's card challenge time again :) I decided to do a challenge at Creative with Stamps. This month's theme is geometric. 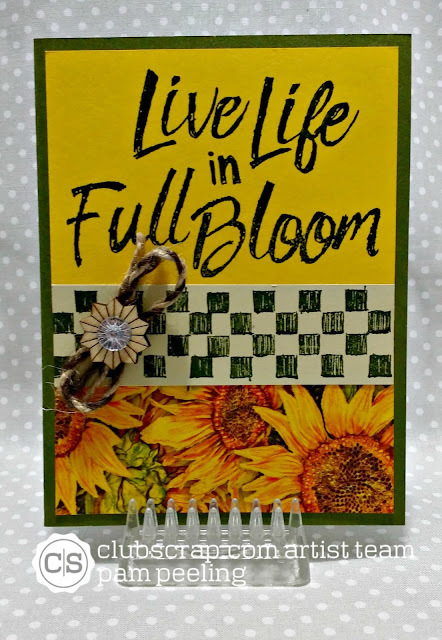 August's Club Scrap kit is Sunflowers! OMG it's awesome! Love, Love Love! AND....there's a perfect geometric stamp to use! All the papers I used are from the sunflowers kit. I used Stampin Up's Mossy Meadow ink to stamp the checkerboard image and the sentiment. I love the embellishments with this kit! The sparkle jewel is a separate piece. 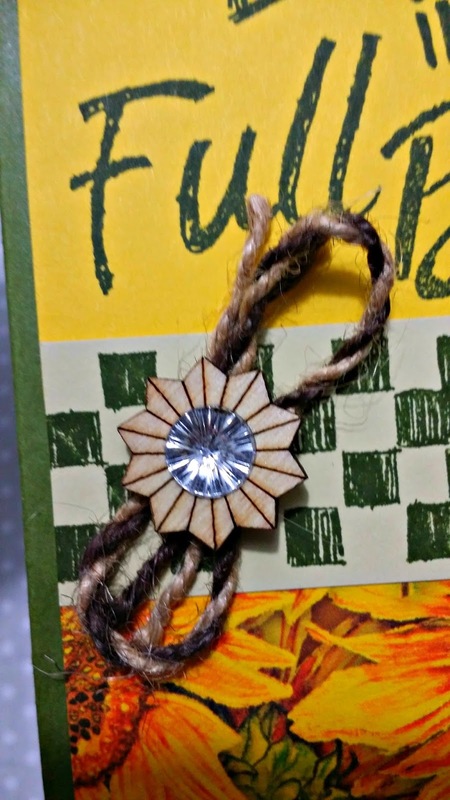 Just love that wooden sunflower button!! Hop on over to the Creative with Stamps Blog and link a creation of your own! Ooo . . . those sunflowers ARE gorgeous! And they are a perfect fit for your sentiment. Love this! The jewel for the center of the flower is a great idea! That's a really cool design!!! Great interpretation of our challenge-Theme :) Love it!